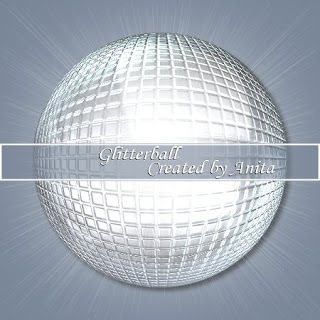 I have always been fascinated by these Glitter balls. I have one hanging in the bedroom, fantastic when the evening sun hits it. In psp format with three individual layers so you can choose to keep or delete the sunburst and shadow.